Artificial intelligence, a faster mobile web, and ad technology that knows us better than Orwell’s “Big Brother” — there’s been a lot for digital marketers to get excited about this year. Let’s review some of the biggest digital advertising trends that are shaping the present and the future. Today, the increasing number of tools consumers have at their fingertips to make purchase decisions has shifted the way they buy. For example, before the internet, if you wanted to buy a product, you went to the store and bought it. Even if you visited a few different stores, for the most part, it was a one, two, or three-stop-shop. Now we have the internet, smartphones, magazines, TV, and brick-and-mortar businesses. What used to be a one-stop-shop has grown into a journey in which customers interact with your business in lots of different ways. That shift has birthed a form of marketing known as “omni-channel,” which focuses on providing a seamless experience across all channels. If you’re a brick-and-mortar business with a website, you want the experience of transferring between that website to your storefront to be as easy as possible (to see a product on TV, research desktop, order it on mobile, and have it ready and waiting for you in the store, for example). Take Disney for example, who allows users to book trips right from their website, then plan them step-by-step with the “My Disney Experience” tool. You can find places to eat, decide where you’ll pick up fast passes, and even get info about attractions (like their location and estimated wait time) right from your mobile phone. The seamless transition between desktop, mobile, and in-park experience is a model that many brands today try to emulate. In the UK, internet users have the ability to browse the web 5x faster than we do in the US. In Venezuela, twice as fast. In a ranking of internet speeds around the world, America doesn’t even crack the top ten, which, statistics show, is bad news for businesses. Most retail mobile sites take around 6.9 seconds to load, double the length of time that nearly half of all Internet users will wait before they abandon a web page. Some experts estimate that ultimately translates to $500 billion in lost revenue for the e-commerce industry. So, in an attempt to boost user experience by speeding up the mobile web, Google rolled out its AMP (accelerated mobile pages) project last year, and more recently, its AMP for ads and landing page. AMP HTML: A version of HTML without all the bells and whistles, like custom tags, for example. AMP CDN: This optional “content delivery network” allows you store a cached version of your web page on Google’s servers, which makes for even faster delivery to the internet users requesting it. When built correctly, these pages load in a fraction of a second, and they’re easier to find, featured prominently at the top of SERPs. The only problem with them, at the time, was that speedy experience didn’t translate to ads on AMP pages or their corresponding landing pages. But that changed when Google recently announced a new upgrade. As of a few months ago, the AMP framework is no longer focused strictly on optimizing static content. Now, you can create ads and landing pages that load just as quickly. Web users will be more likely to click on a result if they know they’re guaranteed a positive experience. That improved user experience will result in higher conversion rates for marketers and advertisers. Publishers boost their revenue while allowing users a way to return to their content. There’s no doubt landing pages have become a more popular marketing tool in the last few years, and recent data from Search Engine Journal shows that’s not changing anytime soon. According to their State of Digital Marketing report, the content that marketers are seeing most success with are ebooks and whitepapers. So what does that have to do with landing pages? More often than not, landing pages are where users actually get those ebooks and whitepapers from businesses who offer them in exchange for something in return, like name and email address. These standalone web pages, which use highly persuasive elements like social proof and benefit-oriented copy to convince visitors to convert, can be a powerful addition to every stage of your funnel. At the top, squeeze pages convince your prospects to part with their email address so you can nurture them all the way to the bottom, where sales page get them to buy. If your biggest goal, like all digital marketers in 2019, is to “increase lead generation,” then landing pages are the weapons you need to add to your arsenal. According to Teads, not many people knew about this ad format before last year. But already, 77% of agencies say outstream is going to be crucial to their clients’ success going forward. Its speedy rise to popularity has a lot to do with annoyed internet users, competitive advertisers, and publishers looking to drive revenue. So what is it exactly? Outstream video is a new type of ad format that allows publishers to show video ads outside of actual video players, in text line breaks for example, or the corners of a web page. Up until outstream, brands were forced to run video ad campaigns before or during an video, within a video player, which meant that only publishers with video content (like YouTube or Vimeo, for example) could run those ads. That meant advertisers had to compete for limited placements, editorial publishers couldn’t monetize video ads, and viewers were forced to watch content before or during their video. Allowing publishers of more than just video content to monetize video ads. Editorial publishers like the Washington Post and Forbes sell outstream placements to advertisers. 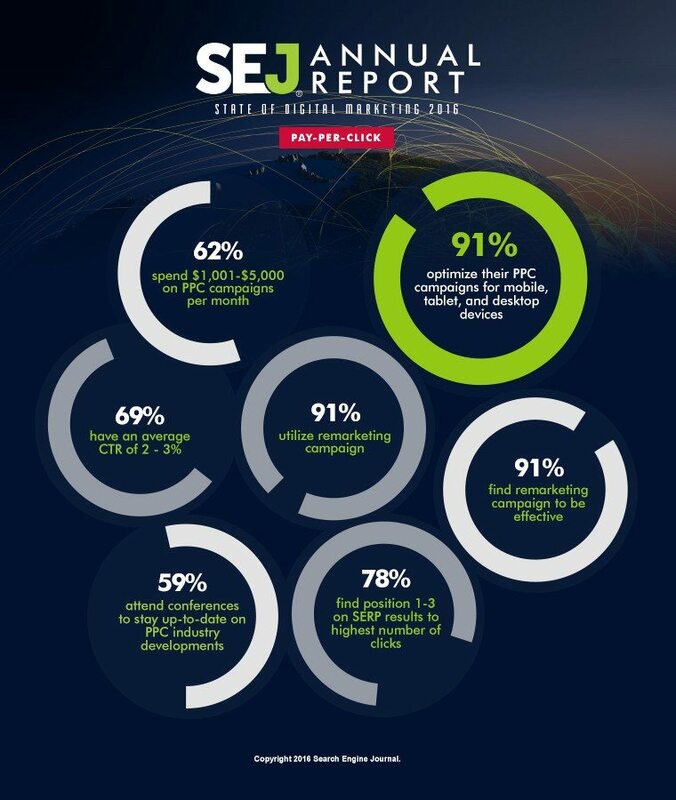 Giving advertisers expanded reach. Outstream has driven competition for ad placements within traditional video players down by opening up video ads to the entire web. Brands can now reach audiences on websites other than YouTube. They can also ensure their videos actually get watched, since outstream ads only play when they’re in full view of the internet user. Letting internet users ignore the ad. While these videos are intrusive in the sense that they can interrupt your reading experience, you can choose to ignore them by scrolling past. Many outstream formats play without sound, and they pause as soon as they’re out of view. It’s for these reasons that some say outstream ads could be just as big as pre-roll advertising. If the amount brands are willing to pay for them is any indication of their value, that could be the case. Already, some report that advertisers are paying CPM’s as high as $45. WhatsApp, WeChat, and Facebook Messenger are already outpacing the world’s biggest social networks, and some experts predict, with a little help, they could even spell the end of search engines. That help comes from chatbots — customer service agents introduced to Facebook’s messenger platform earlier this year at the social network’s F8 conference. Since then, 18,000 bots have been developed to help brands offer streamlined, individualized service through chat. Their capabilities range from allowing you to order an Uber, to even serving as a virtual booking agent. 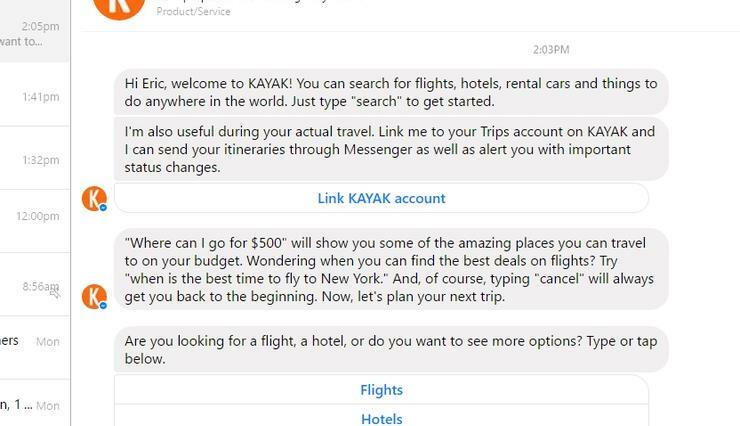 While Kayak’s bot is one of the best examples of chabots’ potential, most brands have struggled to provide actual value with theirs. Not everybody’s sold on chatbots yet, but there are some reasons to get on board. 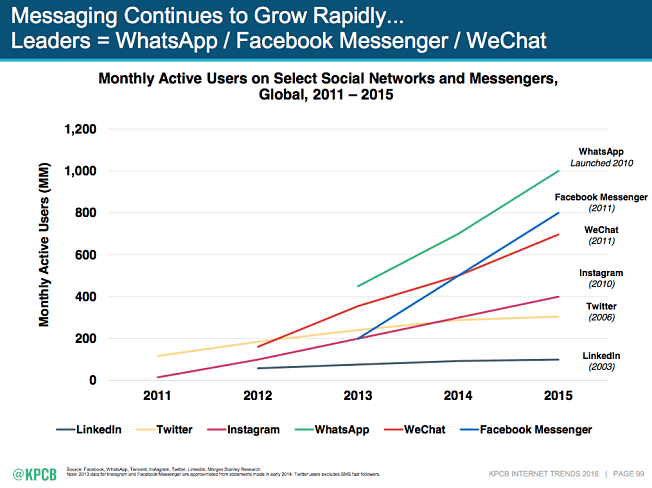 Early adopters have seen success, and people are spending increasingly more time in chat apps like messenger and WhatsApp (around 2.5 billion people use at least one messaging app, and by 2018 that could grow to 3.6 billion). Since Facebook recently loosened their restrictions on sending promotional content via chatbot, now is a good time to rethink how chatbots fit into your marketing strategy. At a time when digital marketers have to be everywhere and track everything, marketing automation technology is a must-use. These tools save employees time while giving managers greater insight into what drives their business. For email, tools like Autopilot allow marketers to track their prospects’ behavior and send automated messages based on that behavior. Customer relationship management (CRM) software from companies like Salesforce helps businesses sort their customers and prospects into segments for more personalized communication. In social media, Facebook’s advertising tools help you target users based on which pages of your website they’ve visited. To track everything, Google’s free analytics platform is used by the best marketers in the business. Among successful adopters, 63% say they plan to increase their marketing automation budget going forward. And to become successful? Experience is key, as 79% of top-performing companies have been using automation for more than 2 years. Nobody likes remarketing ads. They’re creepy, annoying, and ineffective, right? How could we say we’re creeping people out if research shows these ads fatigue at half the rate of normal display ads? We can’t. What we can say, though, is that remarketing tactics have helped some big brands produce big ROI. PPC Hero cut their cost per action by nearly 80% when they started using remarketing, and when Watchfinder tried it, they boosted ROI by 1,300%. So what makes the technique so powerful? 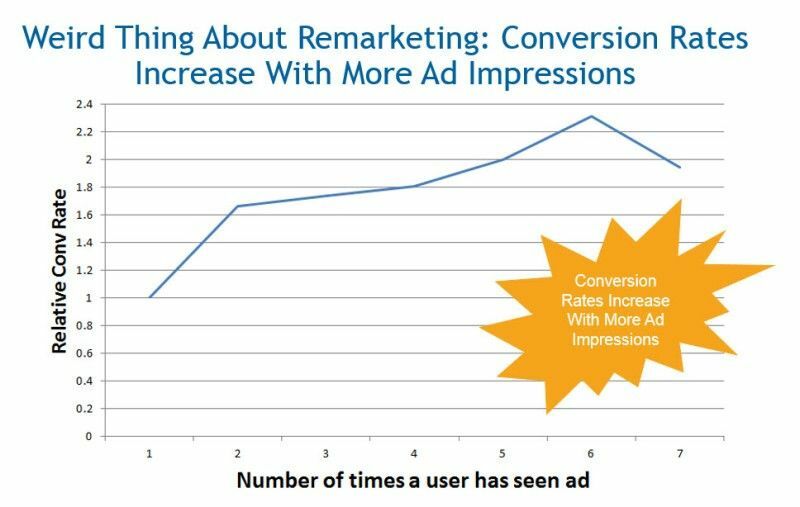 With remarketing, you can target prospects with ads who have viewed a particular product or certain web pages — providing a highly relevant and personalized user experience. Since as many as 96% of people who visit your website aren’t ready to buy, the method has become a powerful way to draw those prospects back into your conversion funnel.